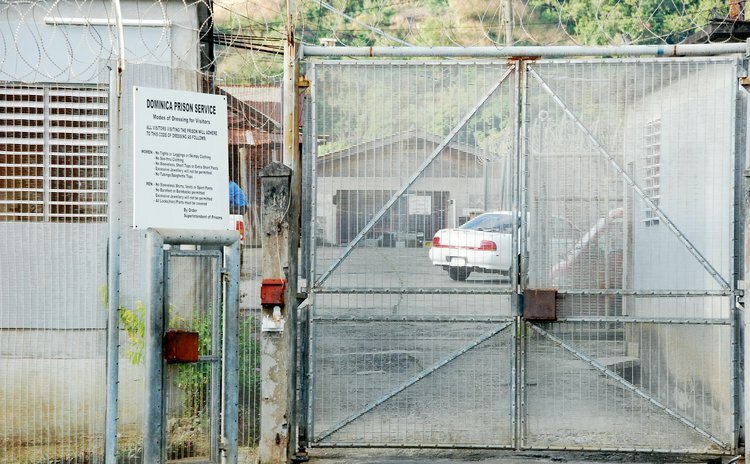 The prison population continues to go down, said Ag Superintendent of Prisons Dennis Blanc, when he gave the usual report at the end of the criminal assizes at the Roseau High Court before Justice Birnie Stephenson on Monday July 22, 2013. Blanc said the numbers were down to 244 men and four women at the end of the July 2013 assizes compared to 262 men and four women at the end of the January 2013 session. The January figure was down to 266 from 276. The composition of the prison population as at July 22 were 39 men and two women sent up by the High Court; 144 men and two women imprisoned by the Magistrates' Courts; 56 men on remand; and five men committed for trial. The remands include two juveniles aged 17 years for theft and battery. The prisoners at large were also down from six to four, Blanc reported. The escapee who is longest on the run escaped on January 1, 2010 while the most recent escape occurred on July 4, 2013. The 2010 escapee was serving 40 years for murder while two of the other three were serving terms of one year each, and the other three years. During the closing of the assizes, Justice Stephenson went on to thank the jury for its service and reminded the members that it was their civic duty in a democratic society and a privilege to serve. The judge then reiterated that every person charged with an offence was entitled to bail under the law. She also applauded the prison authorities for their efforts in trying to instill some skills, such as agriculture and computer operations in inmates, and the launching of a library to be opened in August. Judge Stephenson asked the court to observe a minute's silence in memory of Justice of Appeal Satrohan Singh, a resident judge in Dominica who passed away after a lengthy battle with cancer in Trinidad & Tobago. His body was cremated and the remains interred in his native Guyana.